Child of the Mountains by Marilyn Sue Shank. Review: Are you the type of person who loves a heartwarming tale? If so, then Child of the Mountains, by Marilyn Sue Shank is the book for you! Lydia Hawkins, your typical 11 year old girl who just wants a normal life in the Appalachian Mountains, suffers through harsh times including family deaths, her mom being hauled off to jail, and having to go live with an aunt and uncle she barely knows. Lydia lives in a little shack in the Appalachian Mountains with her mom, her little brother BJ, who's battled cystic fibrosis since birth, and wise old Gran. Her life is pretty much normal until every single good thing in her life falls apart. Her dad and grandpa are already dead and after BJ and Gran die, Mama is sent to jail, and she has to go live with Aunt Ethel Mae and Uncle William. She doesn't even know why she should be alive. If only she could find a way to clear her mother's name then maybe, just maybe, things would be better. ÒIt's about keeping the faith,Ó Lydia always thinks. Can she do it? Child of the Mountains is the best book I have ever read!! Its very suspenseful plot made me want to keep reading and never stop! It warmed my heart. It has suspense, drama, love, and enough excitement to make you want to keep reading! 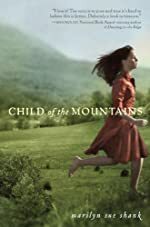 Child of the Mountains is very well written. This book would be appropriate for kids ages 11+ because some of it may be confusing and some parts are a little inappropriate for kids under 11. Readers will be able to relate to some of Lydia's troubles and see how she handles them in a way that they might, as well. I give this book 5 stars because of its excitement and suspense that all wraps up to a loving tale in the end. It will make you want to keep reading and support Lydia during her hard times. After all, it's about keeping the faith! We would like to thank Random House for providing a copy of Child of the Mountains for this review. Have you read Child of the Mountains? How would you rate it?